Pom Pom Wow! sets bring new way to use pompoms and decorate almost everything your eyes can see around. There are various Pom Pom Wow! toys on the market, each one gives fancy and creative ways to apply pom poms. All pom poms come as pellets, each wrapped in a plastic cover. Using adhesive dots you can glue pom poms to almost everything. We tried two sets recently and they both are amazing. They can be used towards different projects and the main idea is the same. You stick a pom pom using adhesive dot, pull out a plastic cover and get nice decor item. With Pom Pom Wow - Snap & Decorate Set you can decorate various items from cards to letters, Christmas ornaments or holiday gifts. 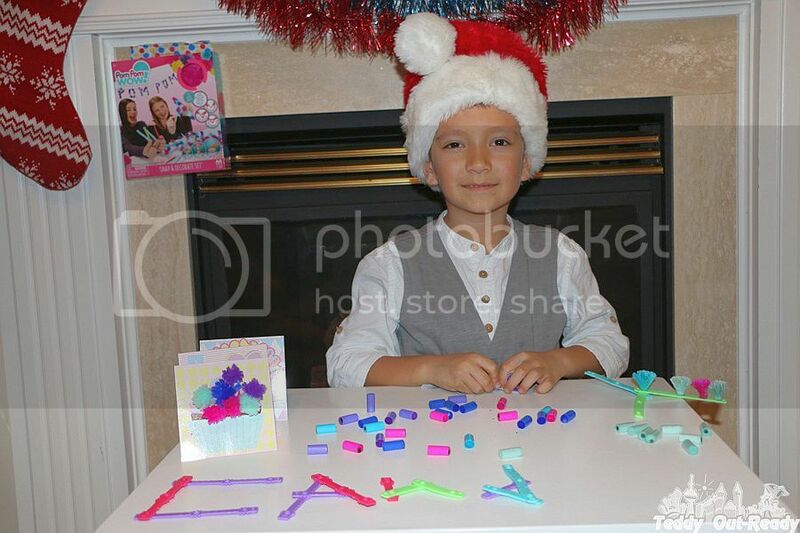 Teddy liked the set plastic letter snaps to create fun messages. I wish the set had extra snaps because we were able to make only two words with them. There is also one roll of yearn you can use to hang your decorated letters. Three cards are included in the set, they are designed to be decorated using pompoms. Lots of other items can be decorated with pompoms, they are easy to use and they stick to almost any surface. The second set Pom Pom Wow! 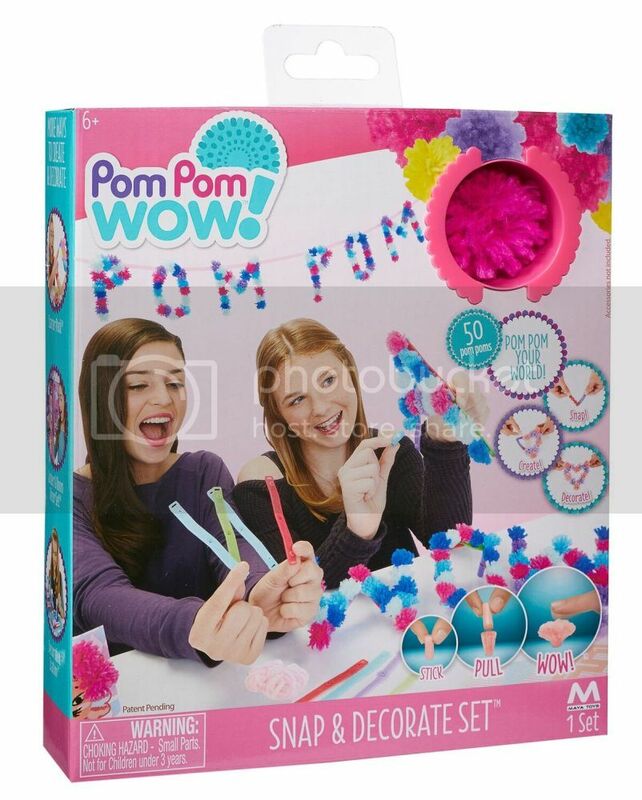 Decoration Station is an amazing set which offers many ways to make pompoms absolutely incredible. The station comes with 75 pompoms in four colors. There are many pompoms which can be colored using special markers, stamper pads and glitter pen. The set includes 4 watercolors which best work on white color pompoms, you can even mix watercolors to create absolutely beautiful unique pompoms. 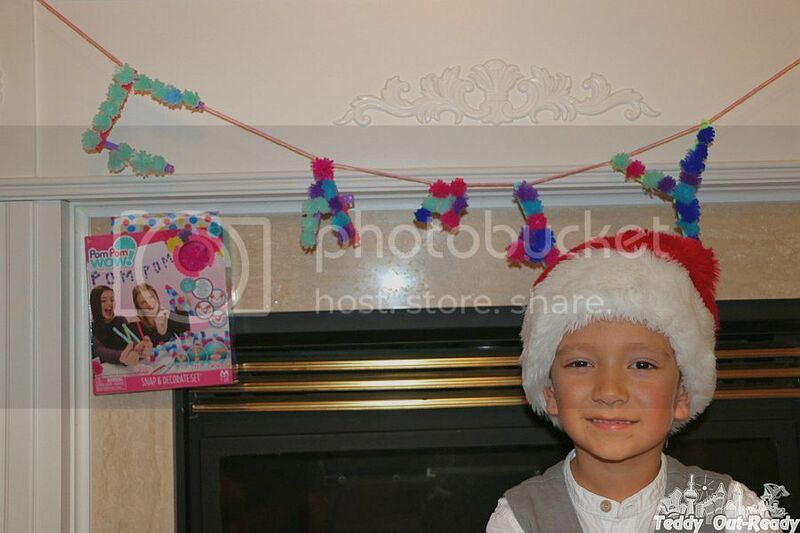 Teddy liked working with the station saying that there are so many ways to decorate, color and style pompoms. There are different ways to add some extra features to pompoms, you can paint them, dye and sparkle. Every single pompom becomes the unique piece of art. Designed for children ages 6+, Pom Pom Wow! Sets make wonderful gift for crafty hands. 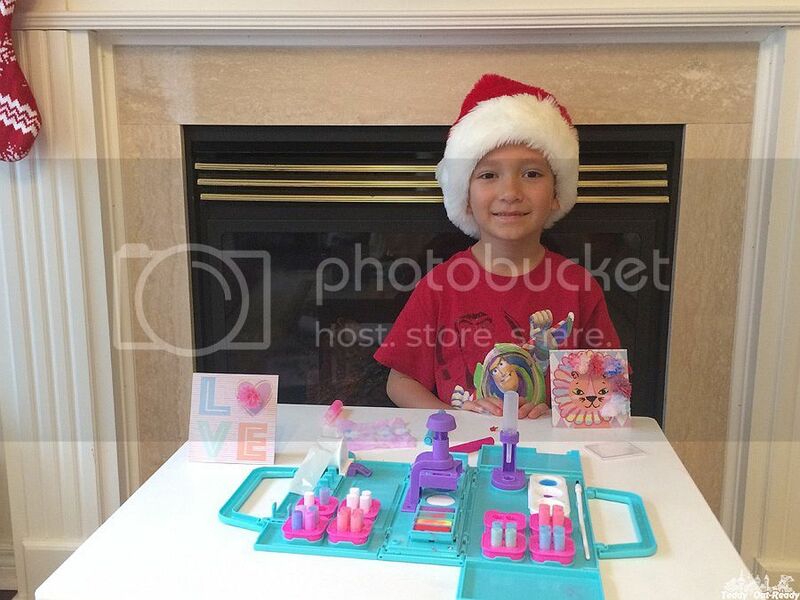 They are available in a variety of stores, Toys R Us, Funky Toys, K.I.D Toys and on-line. 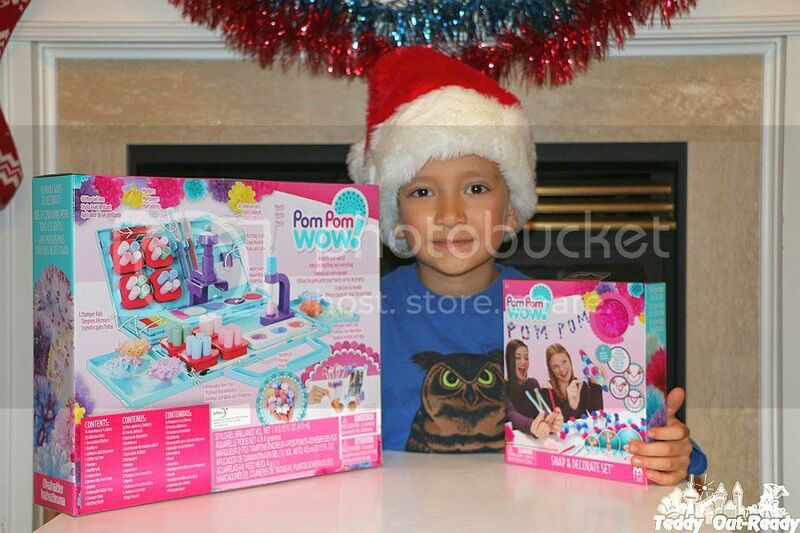 We are excited to give away Pom Pom Wow - Snap & Decorate Set to one our Canadian reader. For your chance simply fill the form below and Good Luck! The giveaway ends December 12, 2016. My granddaughter would enjoy this set!! My daughters would enjoy this set if I won it. My granddaughter would enjoy this but I think grandma would have more fun. My daughter would love to have this.